These two things perfectly complement each other. THC seems to boost, or enhance the effects of CBD and CBD tones down the effects of THC. In fact, recent studies have found that the cannabinoids work better together, known as the entourage effect. CBD actually gets in the way of THC binding to the CB1 receptor in the brain, which is why CBD is a great thing to use when you’ve consumed too much THC. CBD feels like it cleans up around the edges of THC. I think of it like my dad at his art table, polishing up his piece by erasing any marks, softening the lines of strokes that were too harsh, gently wiping off the paper, making everything perfect and beautiful. 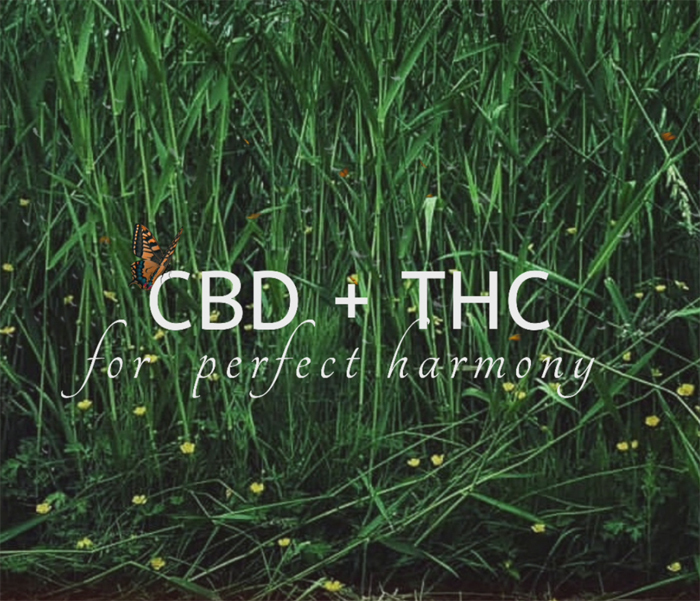 CBD softens the edges of THC, making you feel peaceful. THC gives CBD that extra lift for pain relief and for anxiety and muscle release. Personally I’ve found taking CBD orally about 45 min before I use THC gives me a much nicer experience. As does taking a few hits off of a CBD vape pen. I’ve found both methods effective however I prefer orally as it lasts longer. What if you don’t want to feel high? Low dose THC is best for anyone who doesn’t want to feel any kind of elevation. A low dose would be anything under 10% in the dried flower or under 5mg for an oral dose. Everyone is different, play around with the different strengths to see what works best for you. If you’re interested in CBD without THC you can buy hemp derived CBD which won’t have any THC in it. However if you buy full spectrum CBD, then you’re getting a small amount of THC, not enough to feel high, but enough that you’re getting all of the cannabinoids working for you. View CBD explained to learn more.